… one coffee at a time! Want to start your new and exciting career in coding? You are lucky — the job opportunities for coders are excellent! The Finxter products are all about increasing your value to the marketplace — while having FUN in the process. Let’s roll up your sleeves and start your journey towards mastery! Tens of thousands of ambitious coders worldwide have already improved their Python skills using the Finxter way of learning to code: continuous daily improvements with a clear, step-by-step training plan. Fear of missing out on data science and machine learning? The trend of automation is not coming to a halt soon. Machines take over more and more traditional jobs from human workers. This ​eBook package ​gives you a fun way to start learning data science with Python. ​It gives you a thorough introduction in one of Python’s most important libraries for data science and machine learning: NumPy. Are you tired of coding useless toy projects? Start thinking BIG and develop meaningful Python projects with MASSIVE impact. Your first step: Take the course “Object-Oriented Python” that teaches you the highly practical skill of object-oriented programming. It only takes you a few hours but will give you value for a LIFETIME. Get your step-by-step guide now. Don’t want to miss out on machine learning and data science? The greatest thinker of our time, Prof. Yuval Harari, argues that machine learning engineers will belong to the most influential persons in the next decade. In this exclusive course (for Finxter premium members), you’ll learn the “10 pillar machine learning algorithms”. Thousands of major companies seek competent machine learning engineers. Make yourself valuable to the marketplace now! How to Create the Hangman Game in Python? This course is a step-by-step guide for teenagers and absolute beginners in the Python programming language. It’s full of helpful videos, gamification, fun, cheat sheets, puzzles, and quizzes. If you are just starting out, this course is for you! Want to be your own boss earning $$$ on the side to provide for your family? Become Python freelancer! This course pushes you to Python freelancer level in 2 months. 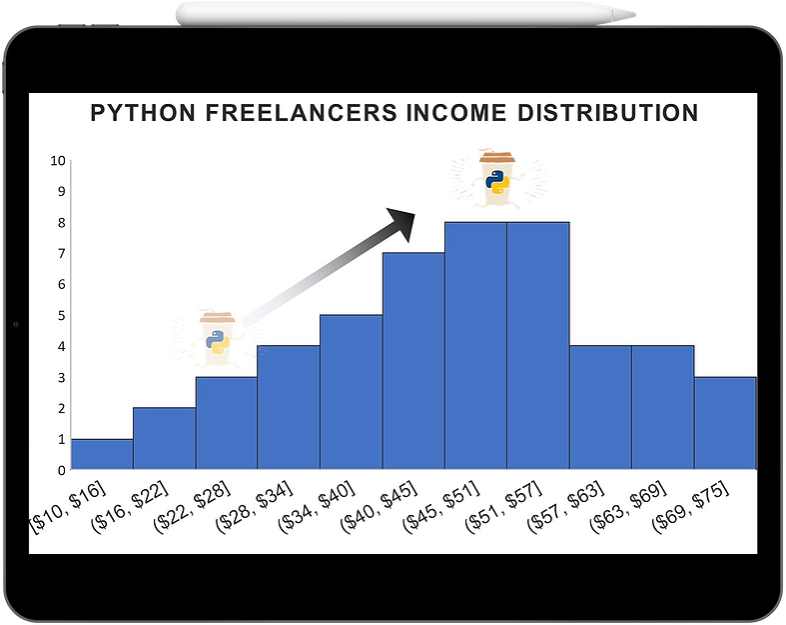 It’s full of premium content and features that will help you reach your goal to earn more money with Python. Included in this course are 2 Python books, a personalized training plan, and LIFETIME download of certificates as a Finxter Premium Member, with the additional bonus of unlimited code puzzles on the Finxter app. If you are serious about your Python high-income skill, this course is for you!